High effluent total nitrogen during cold weather conditions. 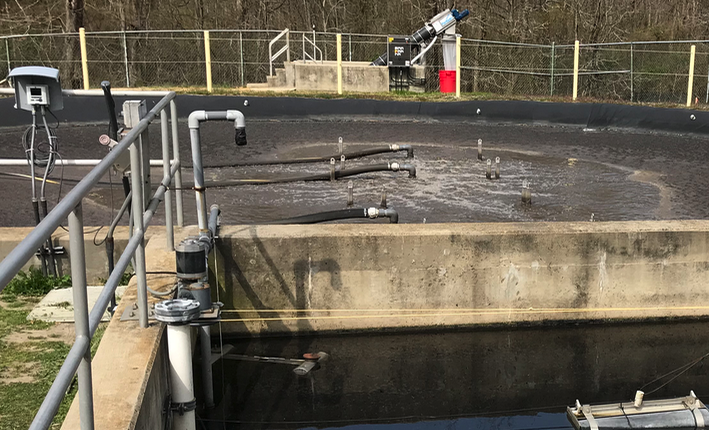 The plant consists of a 137,000 gallon lined earthen activated sludge basin with cyclic aeration for BNR followed by an integral clarifier with RAS. 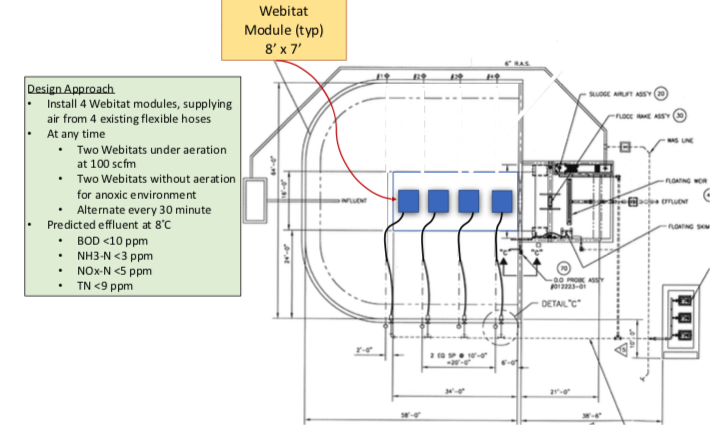 Replacing the suspended moving fine bubble diffusers with four bottom-mounted integrated fixed-film web-type media units created a unique cycling oxic/anoxic IFAS BNR system. The result is a plant designed for total nitrogen removal to concentrations less than 13 mg/L at a winter time minimum water temperature of 10 ̊C. During the past 10 years, the plant has struggled to meet this limit during cold weather months. 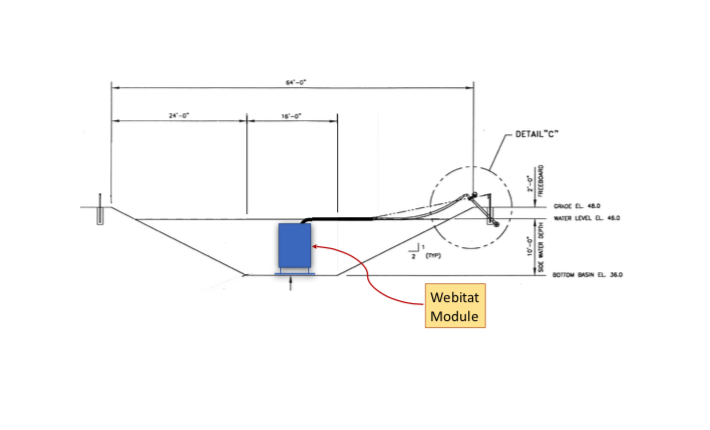 In the fall of 2017, the submerged moving aeration diffusers were removed and replaced with four Entex Webitat™ modules equipped with high surface area fabric media to accommodate an increased inventory of biology within the aeration basin. The modules, equipped with integral coarse bubble diffusers provide the necessary dissolved oxygen for the microorganisms and also sufficient energy to mix the entire basin. Further, the air from the PD blowers warms the biofilm within the module to a temperature above that of the bulk liquid, which enhances wintertime biological kinetic rates. The operation of the modules is cycled such that at any one time, two are operating in oxic mode and two in anoxic (denitrification) mode. As a result of these changes, the plant now consistently meets its cold weather total nitrogen requirements.